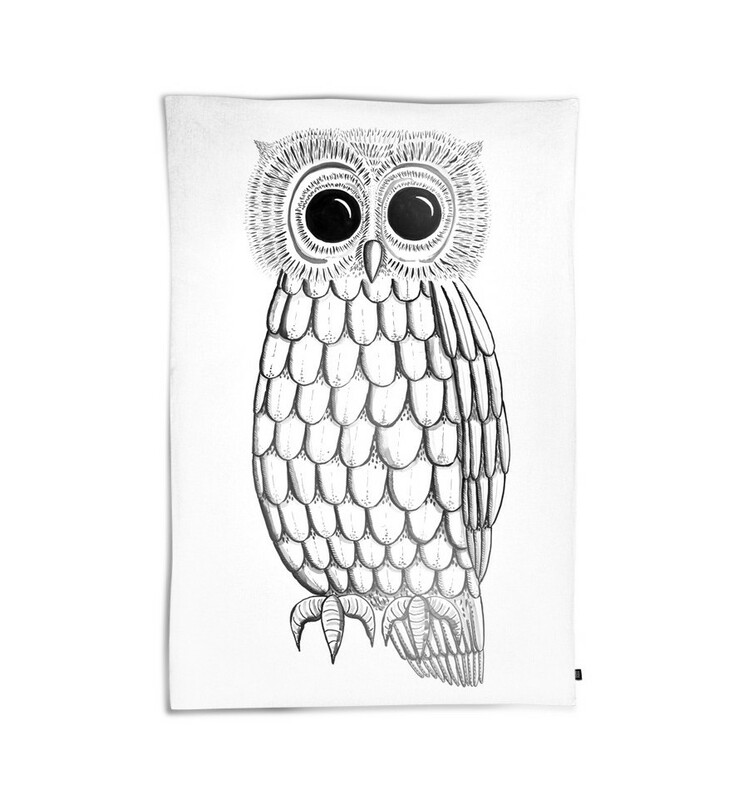 Pure cotton duvet cover with an owl with huge dark eyes. She has been digitally printed on the luxurious cotton percale. Fancy! 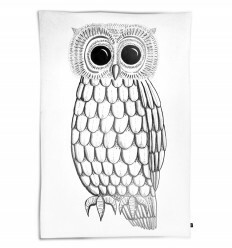 An illustrator Mojca Fo has created an owl exclusively for ooh noo. Her illustration is digital printed on 100% cotton percale. We washed and pre-shrunk it for you. 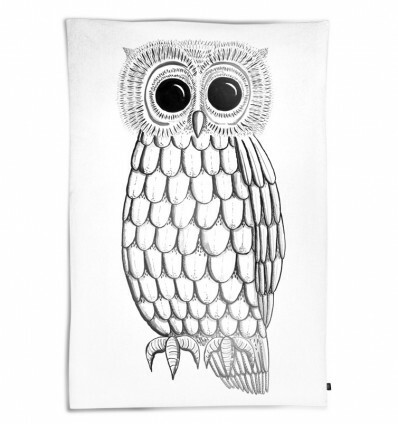 This ooh noo duvet cover has been washed and tumble-dried, so that you can start using it immediately. You will notice that it becomes softer and more pleasant with every wash and tumble-dry. What you will also notice is that it looks best when it is naturally crumpled. We think that this makes it look better, more charming. You can iron this charm out, if you must, but we would rather you didn’t. The printed design on the duvet cover will start to fade and look less defined with every wash. Don’t fret: this was the look the designer was going for. The more you wash and use it, the better!